AWS helps businesses, nonprofit organizations, local and regional governments, schools, and districts innovate by simplifying IT workloads that they struggle with and depend on every day, such as Geographical Information Systems (GIS), Content Management Systems (CMS), Open Data portals, teaching and learning solutions, and more. All of these applications run on AWS and make it easier for governments and schools to deliver services to their customers, citizens, and students. Read the complete 2018 City on a Cloud Innovation Challenge eligibility requirements and rules here. The Best Practices Award will be granted to a local or regional government leader, or public or private school or district who has deployed an innovative solution to solve a government challenge. Qualified entries will be judged on the following criteria: (a) expansion of citizen services or local government functions currently available based on the implementation of the solution; (b) use and integration of AWS Services; and (c) the significance of the solution to the local community as measured by cost savings and measurable benefits to citizens. For examples from previous winners click here. The Partners in Innovation Award will be granted to a technology partner who has deployed an innovative solution to solve a government or teaching and learning challenge. Qualified entries will be judged on the following criteria: (a) uniqueness of the application; (b) number and type of users of the application; (c) applicability and availability of the application to governments of different size and scope and in different regions; and (d) availability on the AWS Marketplace within 2018. The We Power Tech Award will be granted to a technology partner who primarily serves underrepresented groups (including, but not limited to, communities of low- and moderate-income populations, recent immigrants, communities of color, youth, the elderly, individuals with disabilities, LGBTQ individuals) and has deployed an innovative solution to help a business, nonprofit organization, government or educational institution address a challenge that involves diversity or inclusion of an underrepresented group. All qualified entries in the We Power Tech Category will be judged using the following criteria: (a) expansion of citizen services, local government functions, or services to diverse or underrepresented communities; (b) use and integration of AWS Paid Services; and (c) the significance of the solution to the local community, school, or school district as measured by cost savings, measurable benefits to diverse or underrepresented citizens, or impact on teaching and learning to underrepresented citizens. Local and regional governments are innovating quickly to respond to the needs of their citizens. From transportation to planning to utilities, governments are using cloud computing to transform the way they interact with citizens and think about their future. 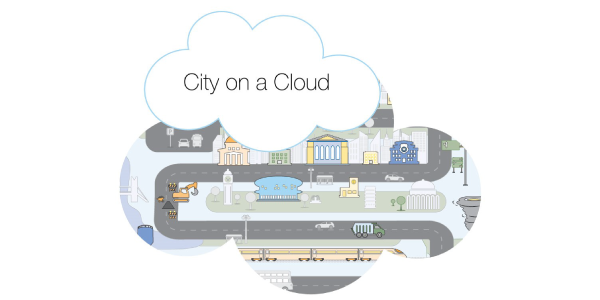 View our City on a Cloud Innovation Map to see what is possible.